Samsung's X-series is made up entirely of machines powered by Intel CULV processors. The X520 is the largest laptop in the X-Series, making it one of the least portable, but its size makes it very comfortable to use and performance also proved to be good. The 15.6-inch screen isn't one of the brightest we've seen, being easily trumped by the Toshiba Satellite T130-12N, but detail is good courtesy of the 1366 x 768-pixel resolution, so opening multiple windows on this panel won't be a problem. A shiny Super-TFT screen coating is in place, but reflections aren't too distracting. This is one of the better looking machines here and build quality matches the aesthetically pleasing design. The chassis features matt-black plastics which won't scratch or mark easily and the same can be said of the lid, despite its shiny finish. A silver trim runs round the edge of the chassis, adding a touch of style. The keyboard is decent enough and, despite a little flex towards the centre, provides a responsive typing experience. The keys are tapered, making it hard to miss-hit a key and there's even a dedicated numeric keypad included for those who regularly input data. The touchpad is confusingly small considering the size of the chassis, however, but it's reactive and quick to get used to. The Intel CULV Core 2 Duo processor is combined with 4096MB of DDR3 memory. Performance, while not as impressive as the MSI X600-055UK, is sufficient for running office applications with ease. The graphical power of the X520 isn't going to set any headlines; nevertheless, anything more than the most basic of photo editing won't be possible due to the integrated Intel GPU employed. The 500GB hard drive offers comprehensive storage for all your data. Portability is a mixed bag. While the impressive battery life of 462 minutes is impressive and will provide plenty of power for you when out and about, the 2.3kg weight is quite heavy, and the chassis is also the large. So if you're after portability, its worth checking out both the Lenovo and Toshiba. Connectivity is fairly standard, with both 802.11n Wi-Fi and 10/100 Ethernet providing networking capabilities. Three USB interfaces provide plenty of room for connecting peripherals, and HDMI and VGA ports let you connect to both digital and analogue external monitors. 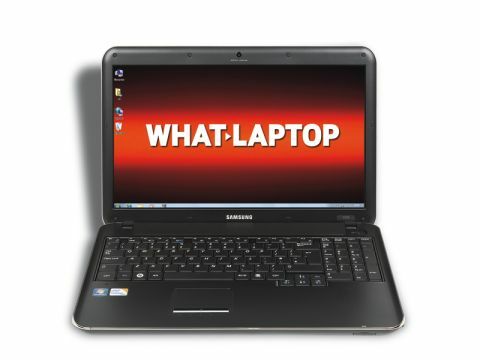 The Samsung X520 offers a good mix of power and comfort, with portability slightly lacking. If you want a machine to accompany you on the daily commute, you should probably look elsewhere, but if you're not put off by its size or weight, this is a great option.